Love nail polish? 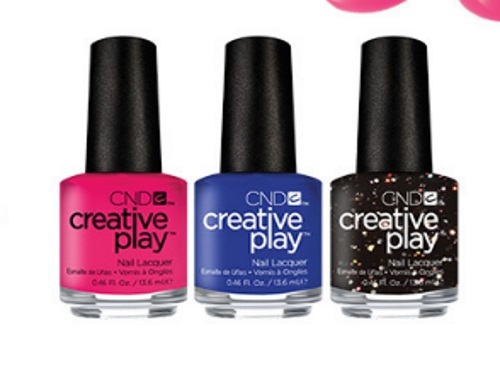 Chickadvisor is looking for 400 chicks to try out the CND Creative Play Nail Lacquer! Here are the four CND Creative Play shades we chose for this offer: Pick your favorite, and remember its name for when you apply for this opportunity! Apply before before October 15, 2017 for your chance to try it! Offer open to Canadian residents only. Selected members will be contacted by email the week of October 16, 2017. Not a Chickadvisor Product Review Club member yet? Sign up here, then review at least 5 items (from stuff you've tried yourself) for the best chance to get chosen. They want people who use the site to be sent products (for those complaining that they never get chosen).